A photo essay that captures the fleeting, fragile, intimate details in a landscape defined, almost entirely, by its enormity. (left) Brendan looks out the window as the airplane passes over the Sierra Mountains. (right) The view to the north on S. Warley Rd. just off California Hwy 4, just outside of Farmington, CA. The Falls at Cascade Creek along Big Oak Flat Rd., Yosemite National Park, CA. 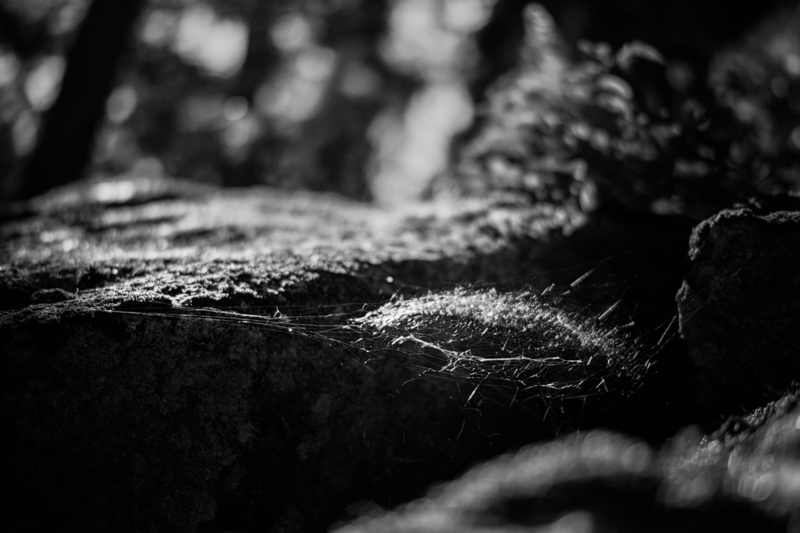 (left) A young pine sapling manages to grow in the cracks of a granite boulder. (right) Brendan climbs a giant boulder in Tenaya Creek, downstream from Mirror Lake. A small herd of mule deer graze in the valley near Half Dome Village. Brendan, 14, stands on the diving board at Taft Point, overlooking El Capitan and the Yosemite Valley. An image of a full moon rising over Glacier Point (left) intermingles with the cascades of the lower section of Yosemite Falls (right). 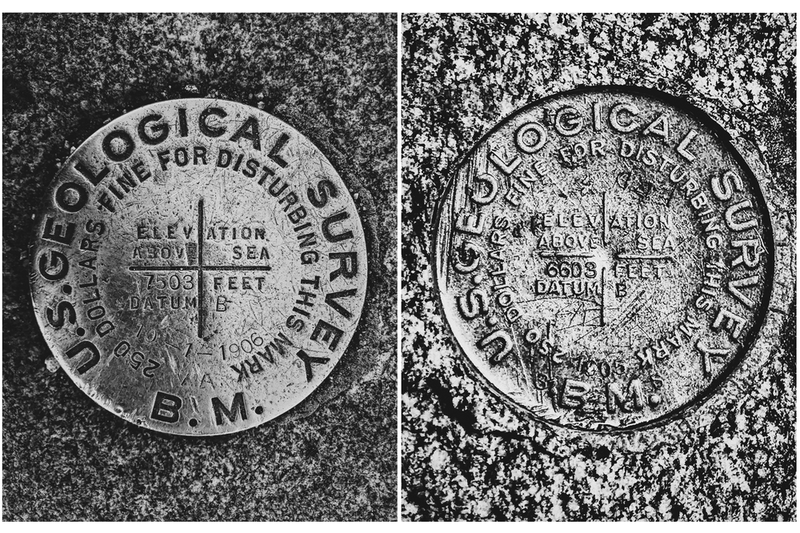 These Geological Survey markers — (left) Taft Point & (right) Yosemite Falls — are just two of the many we discovered on our hikes. Mist Trail at Vernal Falls. Yosemite National Park, CA. We flew from Dallas to Sacramento, then drove three hours southeast through golden grain fields, orchards, and vineyards, toward the Sierra mountains, home of Yosemite National Park, listening to John Muir's memoir My First Summer in the Sierra. Passing through the northern most gate into Yosemite National Park at Big Oak Flat, we were met with a view that didn't reflect the grandeur described by Mr. Muir. 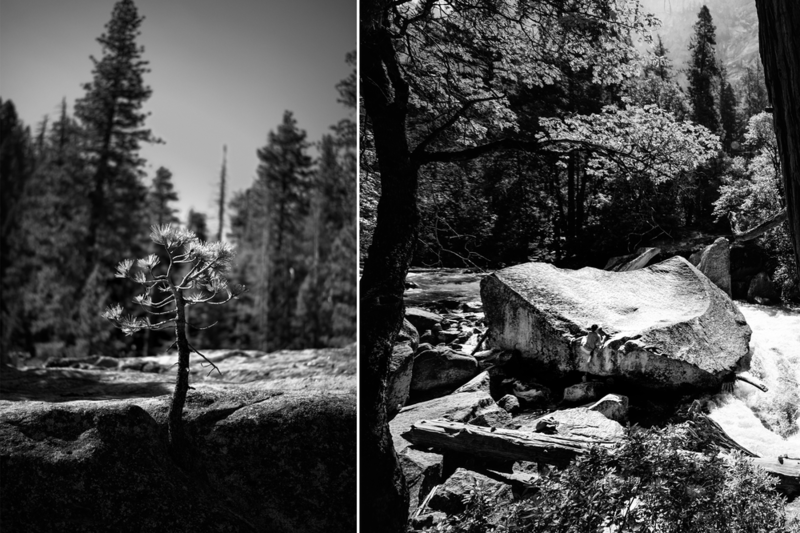 Was this the same Yosemite Valley that stands as one of the grandest natural treasures of North America? The same Valley that captured the heart and imagination of Muir, one of our nation's most respected naturists? My sleeping son seemed equally unimpressed. Within minutes of passing through the gate, however, I woke Brendan and pulled into a small parking lot; just a few paces off the pavement, we caught our first view of Half Dome towering across The Valley. It turns out not even John Muir is capable of aptly describing Yosemite. 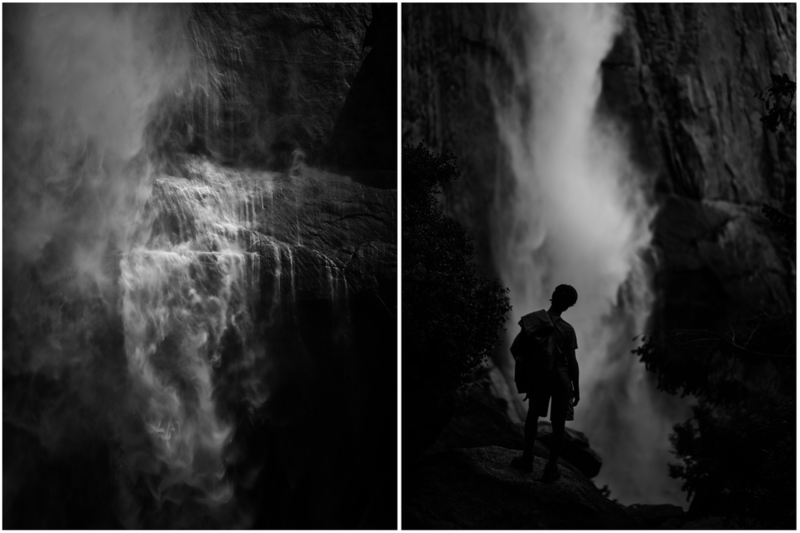 Everything here — from the sheer granite cliffs to the towering water falls — was hewn in hyperbolic scale. This was to be the backdrop of our adventure — an annual tradition. For the better part of a week, we hiked and explored (on and off the beaten path) the park and our place in each other's lives. At every bend in the trail, I found myself repeatedly drawn to the nearly invisible details, easily lost against the larger landscapes. Of the whole experience, I have only inadequate words. So, I’ll turn back to John Muir — to whom we are all indebted for preserving the Yosemite Valley for us. From the spray of the falls to the spider's gossamer catch threaded anew each evening, from the chorus sung by fallen rock and crooked river to the velvet knobs on the mule deer’s tines, the universe was investing its riches in us — my son and me. And, in thanks, we spent ourselves, physically, in the enjoyment of Nature and each other. 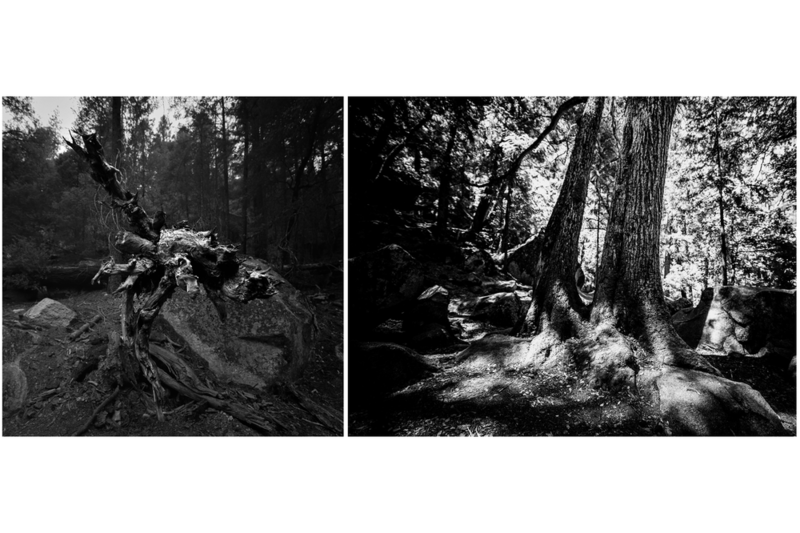 With this series, I attempt to make visual the flood of feelings that came with witnessing the fleeting, the fragile, and the intimate in a landscape defined, almost entirely, by its enormity. This is a metaphor for fatherhood, as much as it is a photo essay about our place inside of Nature. By isolating the singular, I hope to have captured a glimpse of the whole.